The sound of alarm alerts occupants that there is an emergency in the building, but it can’t tell them what the nature of the emergency is. It may be a fire, but it could also be a security threat or other emergency. Visual and audible security messaging is necessary to fully inform the occupants of a building as to the nature of the emergency, and the course of action to take. 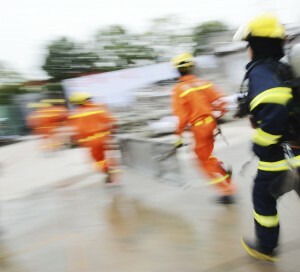 The new guidelines offer facility security management a checklist of things to include in their emergency communications messages for 5 specific incidences, and even gets right down to specific words to use. For example, active verbs and present tense best convey the gravity of the situation and the need to take action. This entry was posted on Thursday, May 29th, 2014 at 5:52 pm. Both comments and pings are currently closed.